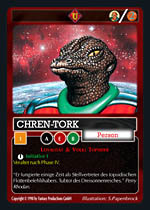 The PERRY RHODAN Trading Card Game is a challenging strategic game for 2 to 4 players. The recommended amount of players is 3. At the moment, this card game has 5 levels (level I – V). For this card game, you need to buy starter packs. Each pack contains 70 cards plus the game description. The cards in these packs vary in comparison to other card games. No two packs are identical, because the cards are randomly selected. To even begin playing the game, it is recommended to have at least 3 starter packs of “Die Dritte Macht”, or “Die 2. Epoche”. There is no set strategy. You have to build your own deck of cards from the starter packs. Each player needs to decide his own strategy, which he then uses against the other players. During your turn, you draws cards from your own deck. The cards can be laid out or held back. Each player has the possibility to carry through missions against the other players. He can also solve galactical puzzles, or play special events. Towards the end of each turn, it may be necessary to get rid of a certain amount of cards. Every player plays two sides, PRO and ANTI together in each level. By laying out cards, you are able to build up your own pro or anti side while trying to hinder the other players in building their sides. Per turn, each player must decide if he should play pro or anti depending on which cards he has, or which weaknesses the other players have. This makes for a gripping game full of suspense. Planets must be discovered, reinforced, and protected against the other players missions. At the same time, galactical puzzles must be solved and your own missions started. It is important to take each spaceships range into consideration. Each level has a different winning condition. The first player to meet these conditions may change into the next higher level and receive points. A new level means new cards. This does not automatically mean that already used cards need to be discarded. The trading cards are split up into different categories. These categories include: events, galactical puzzles, planets, territories, people, troops, spaceships, naval fleets, and a variety of accessories. Before the game can begin, the players must decide which level they wish to achieve. This is important because each level has its own card pack, the so-called Materialsource. The level to which each card belongs is noted on the back side. Each player individually decides which cards he needs, depending on his strategy. Each card has specific conditions which let you know when you are able to play it. You may not play all cards at all times. Planets must be laid out first, followed by people, spaceships, accessories etc. The event cards can be used to destroy the other players missions, or to gain your own advantage. Points per card are variable, therefore you never know exactly how many points a card will bring. Each and every game is exciting and never takes the same course. 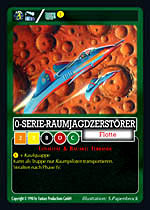 The Perry Rhodan Trading Card Game was first released in the fall of 1996. Other levels followed, ending with level V released 2003. Between The Stars is currently planning levels VI and VII. 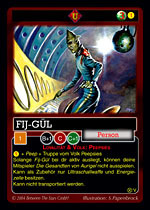 A Perry Rhodan Trading Card Game world’s championship takes place every sommer. Official tournaments are held several times throughout the year in different cities. Points can be achieved here also for the world championship. 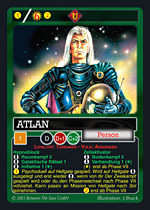 Perry Rhodan trading cards are also collectors items, since many cards are rare. They can reach quite an immense price. As mentioned earlier, each player needs at least 3 starter packs, although more than 3 are recommended. This way you can build an even better deck of cards for yourself. 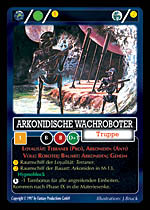 Booster cards “Vorstoß nach Arkon”, are available for level IV. 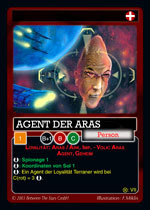 These packs also include comple­mentary cards for levels I – III. With the starter packs “Die 2. Epoche” for level V, it is possible to start a game without levels I – IV. For the record, each player keeps his own cards. At no point and time are cards from all players combined.